It seems everyone in the industry is talking about how independent retailers can survive in the age of Amazon. We love Brad Rosen’s article “Did Amazon Just Kill Liquor Retail As We know It?” for that reason. The Amazon acquisition of Whole Foods is scaring a lot of industry people–and rightly so. One of the major reasons I started LibDib was due to consolidation (you can read all about my sales woes in another blog post). I’m not saying break out that old scrapbooking kit, I’m thinking more Beastie Boys style. It’s time to throw down and show your customers you mean business. It’s time to bring truly small production craft products into your stores. By craft products, I mean stuff that previously was incredibly difficult to get a hold of. We all know that the key to independent retail shops is great customer service. That’s what keeps me coming back to the speciality store in my hood. They understand me and they recommend really great products that they know I will love. And what do consumers love right now? Unique, small production stuff. That’s where LibDib comes in. Since we launched in March we’ve had Makers signing up on our platform each and every day. The majority of these Makers are people with incredible products who couldn’t get distribution and therefore, couldn’t get into your store. Now they can (in California and New York at least, more states coming soon!). And because we charge a much lower margin than other distributors, you can sell these products at a competitive price. I should also mention that we are web-based so you can order craft products from the comfort of your office or in the back room during inventory counts. Makers ship directly to you and it’s super easy. I’m not saying LibDib is going to save the world from Amazon but I do hope that what we are doing as a company will help all of the small guys survive and thrive. The small retailers, the restaurants, the bars, and the Makers; I want you all to succeed together. So, my message to all of you retailers out there is don’t panic. Just reevaluate and change things up. 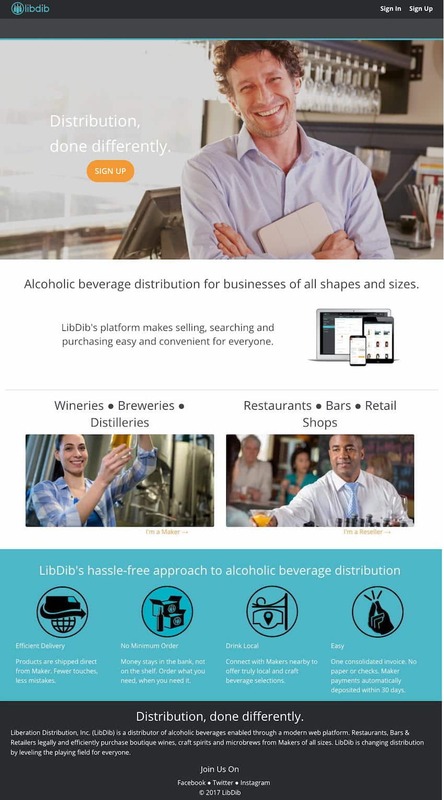 Start using new technology like LibDib to order products. Change up your product offering and bring in super cool, new stuff that the larger chains just aren’t going to carry. Give your customers some beverage options to get excited about again. Get crafty. Consolidation has given only the large brands a voice and shelf space. It’s time to change that and do distribution and retail differently.